A strange twist on the story of Adam and Eve. After eating the forbidden fruit, Adam and Eve are both ejected from the Garden of Eden and land in the modern world. Where will this comedy series lead them? 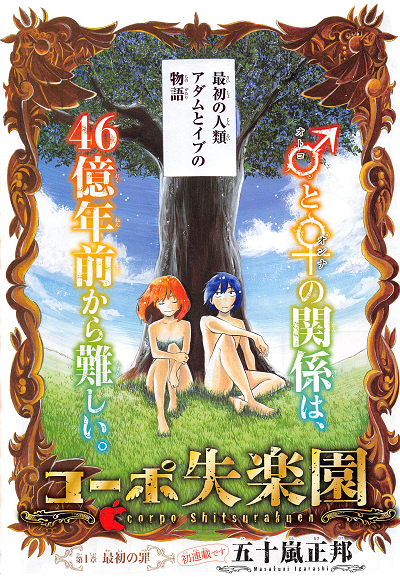 Corp Shitsurakuen began in issue 30 of Weekly Shonen Magazine by rookie mangaka Masakuni Igarashi.